Michael P. Meliti, Esq. is an aggressive advocate and litigator who handles a wide variety of matters. His vast practice area has led him to represent the corporate client and the everyday person alike, balancing the needs of different clients while maintaining the same deft interpersonal touch and building relationships. Clients appreciate Mr. Meliti’s honesty and integrity, which he incorporates into his effective advocacy and legal advice. He is often referred to others by clients, friends, family and acquaintances as someone who can accomplish a client’s goals while balancing the practical effect of their stated desires. In sum, Mr. Meliti believes in “zealous, yet practical advocacy”, and represents “one stop shopping” to clients with varying and changing needs, based on his ability to adapt to situations that require a negotiation or an advocacy approach. For many years, Mr. Meliti has practiced in Family Law, including the highly sensitive subjects of Divorce, Custody, Child Support, and Relocation, and has handled complex matters involving multi-jurisdictional family litigation. While effectuating his clients’ positions in these areas, Mr. Meliti provides them with a listening ear and sensitive disposition to issues which travel beyond money. 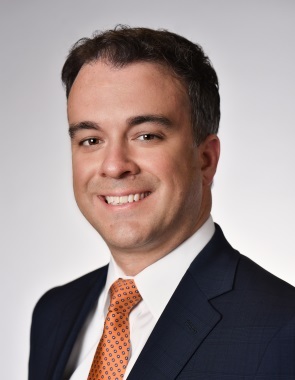 In addition, Mr. Meliti brings his practical, yet aggressive approach to all areas of business, including litigating Commercial, Corporate Shareholder, and Chancery/General Equity matters. This blend helps him achieve positive results both in and out of Court, while balancing the cost/benefit analysis that clients look to when required to retain counsel for legal concerns. Not limited to the litigation practice, Mr. Meliti’s expansive practice also includes Estates, Condominium, Cable Television/Public Utilities and Long-term Healthcare. As an Estate attorney, Mr. Meliti uses a practical and yet familial approach to discovering his clients’ needs and incorporating them into a progressive plan for the future with Wills, Powers of Attorney, Living Wills and Trust documents. For many years, Mr. Meliti has been a continual presence for Public Utility entities, including Cable Television and Waste Management clients. Available to his clients at day or night, weekday or weekend, with a continual respect for the client’s valuable time and money, Mr. Meliti often is present at evening public hearings for refranchising and regulatory approvals, or at a school board or church board to which he may volunteer his time to support. Mr. Meliti is available to meet with you at a date and time convenient for you. CASENOTE: CIVIL RIGHTS – Title IX Of The Education Amendments Of 1972 – Implied Private Right Of Action Under Title IX Will Not Lie By Reason Of Teacher’s Sexual Harassment Of Student Where District Official With Authority Did Not Have Actual Notice Of And Was Not Deliberately Indifferent To Such Conduct – Gebser v. Lago Vista Independent School District, 118 S. Ct. 1989 (1998).